OceanWise, the independent marine data management and GIS specialists, are pleased to announce an exciting collaboration with The Institute of Marine Engineering, Science and Technology (IMarEST) – the largest international professional body and learned society for marine professionals – to develop and deliver industry essential Marine Data Awareness Training Courses in London and overseas. This collaboration combines OceanWise’ expertise as a renowned provider of technical and management training to the International Hydrographic Organisation (IHO) through its capacity building programme with IMarEST. The new courses, provided by OceanWise, will contribute to the IMarEST member continuing professional development (CPD) scheme. The first course, supported by The Society for Underwater Technology (SUT), is entitled “Providing an overview of Marine Data Management throughout its Life Cycle” and will be taking place at IMarEST offices in Aldgate, London, Thursday 18th June 2015. “We are pleased to be working with OceanWise in this important area of interest at a time when data management is increasingly important in delivering business and operational efficiencies” stated Dr. Bev MacKenzie, Technical & Policy Director at IMarEST. Dr. Mike Osborne, OceanWise’s Managing Director added that “These courses will deliver important additional knowledge and builds on the IMarEST Metocean Awareness courses it delivers across the World. The collaboration is timely, given that the amount of marine data now being collected is growing exponentially whilst the skills necessary to manage it efficiently are not keeping pace”. 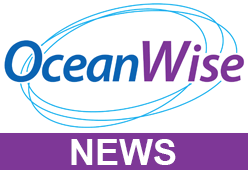 OceanWise Ltd is UK based company specialising in all aspects of marine environmental data acquisition, data and knowledge management and GIS across the World. IMarEST is a learned society supporting and inspiring the development of best practice in marine engineering, science and technology, addressing the needs of society at sea and making a positive difference. It provides a voice for its members on current issues affecting legislation and the global marine community. Through its status as a Non-Governmental International Organisation with Consultative Status at IMO, IMarEST is also able to contribute to the key decisions being made at an international governmental level. For more information about how OceanWise can improve your environmental and spatial data management capacity and capabilities, please contact Mr John Pepper, Marketing Director, at john.pepper@oceanwise.eu or visit the website here.